Putnam Pipe continually strives to offer our customers the most complete line of counter and warehouse items priced competitively across a wide range of products. We strive to be your one-stop shop for water, sewer, drain, erosion, and site preparation needs. Please let us know if you don’t see it in our display areas or on our website. 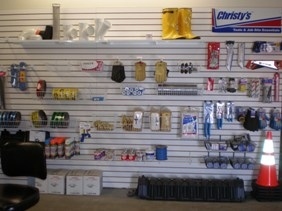 We are constantly updating our inventory to service your needs. Let us plan your next project with the best products on the market today. © 2011-2018 Putnam Pipe - All rights reserved | Designed and hosted by Amaranth Networks Inc.